TC Furlong, Inc. will host its 6th Digital Console Expo on Tuesday, November 29 between 3:00 pm – 8:30 pm. Manufacturers include Allen & Heath, Ashley Audio, Avid, DiGiCo, Mackie, Midas, PreSonus, QSC, Roland, SSL Live, Soundcraft, Yamaha Professional Audio, and more. The companies will exhibit their latest digital consoles, and manufacturer staff will be on hand to answer questions. 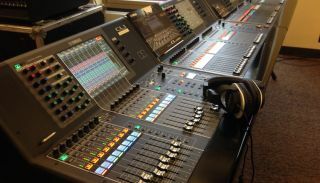 Featured consoles include the new Yamaha RIVAGE PM10 along with CL, QL, and TF; Avid S6L; DiGiCo S21; Allen & Heath dLive; Ashley Audio DigiMIX 24; and Roland M5000. The event is free of charge and will be held at the Moody Church in room 107, 1635 North LaSalle Street, Chicago. Food and beverages will be provided along with a raffle for prizes and giveaways. The Moody Church is easily accessible by public transportation, and there are several pay lots as well as some limited street parking in the area.